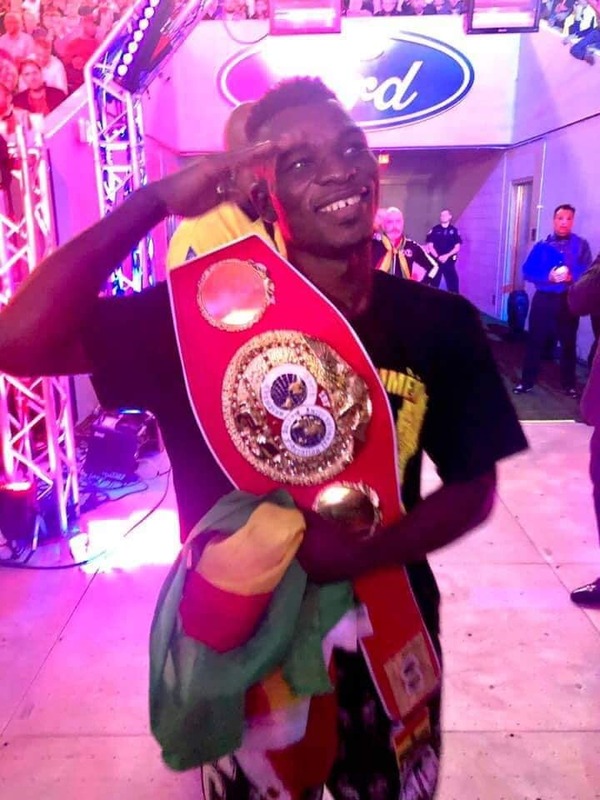 The Ghana Olympic Committee (GOC) has sent a congratulatory message to Richard Oblitei Commey aka 'Azonto' for winning the International Boxing Federation (IBF) Lightweight world title, on Feb. 2, 2019, against Russian Isa Chaniev. In a statement signed by Deputy Communications Director, the GOC said “we are very glad and still in jubilant mood celebrating the sweet victory that has given the nation another world title. What makes us overjoyed is the fact that former Olympian, Isaac Dogboe sadly lost the WBO Super Bantamweight title and this one in a higher weight class is so marvellous and worth celebrating as it is not easy to become a world champion in this modern era of crack boxers. It is our hope that this victory would stimulate all our hardworking and potential world beaters to go for the ultimate in their respective weight classes, for them to win more titles for the nation”.